Since it was raining and better weather was forecast the next day, I decided I would spend the afternoon visiting Utah’s Antelope Island rather than making a second trip around the Bear River refuge. I’d never heard of Antelope Island, but a birder had said that she loved it when I mentioned I was going to Bear River. 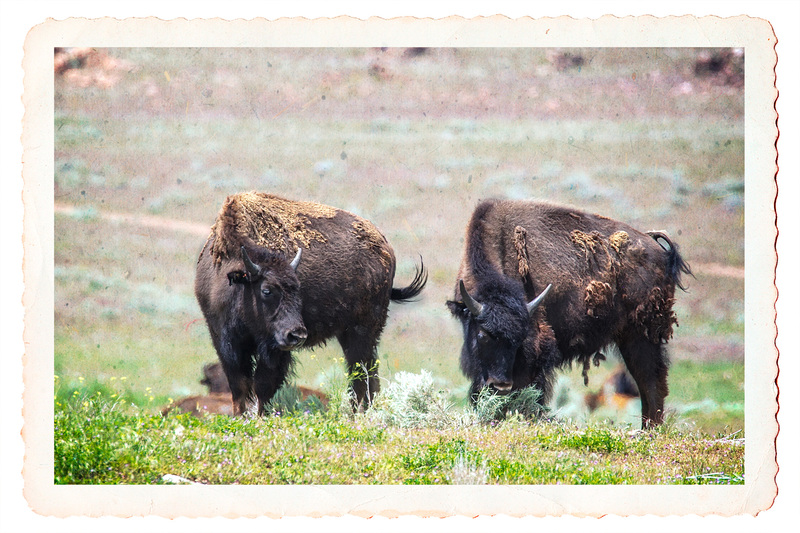 Since it was close, I decided it would be worth the effort, especially since they had a bison herd and Leslie and I had terrible luck when we visited the National Bison Range last year. My luck was much better this time as I actually saw two different herds of buffalo, one in the distance and another quite close to a dirt road. Considering the name of the island and the narrow approach to it, I was a little suspicious about how buffalo would have ended up here. Still, they certainly looked like they could have grazed here forever. A little reading, though, reveals that “twelve bison were introduced to the island at a time when the bison population in North America numbered less than 1,000 head” around the turn of the century by Dooley. He hoped to attract hunters who would be willing to pay to hunt buffalo. Apparently the buffalo are still regularly harvested to provide meat to the café on the island, but judging from the number of tourists snapping shots next to me, they pay for themselves mainly by drawing tourists to the State Park. 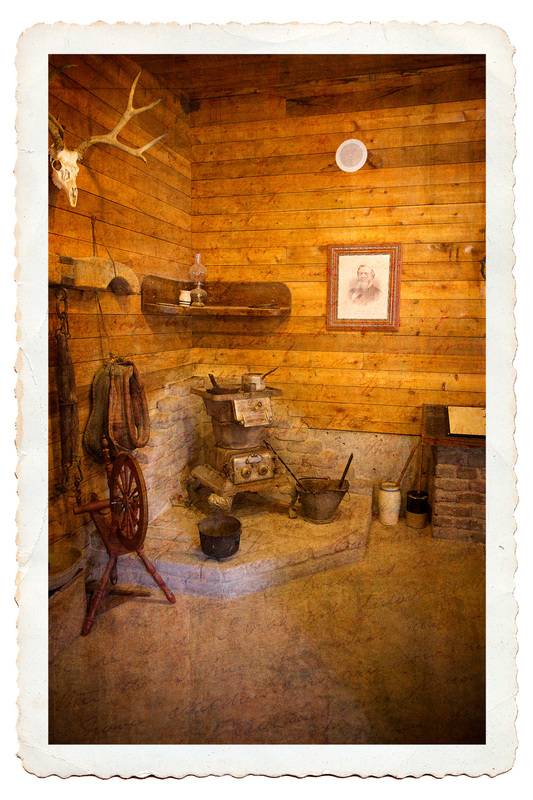 I had never heard of the Fielding Garr Ranch which operated from 1848 to 1981, but I figured at the very least that I could get a couple of shots that would let me play with Perfect Photo Suite 9’s filters. I’m not exactly a history buff, but I had fun for an hour or so looking at the farmhouse, barns, equipment used over the years, and a considerable number of birds. You begin the tour in a small building that has a number of set pieces, like this. 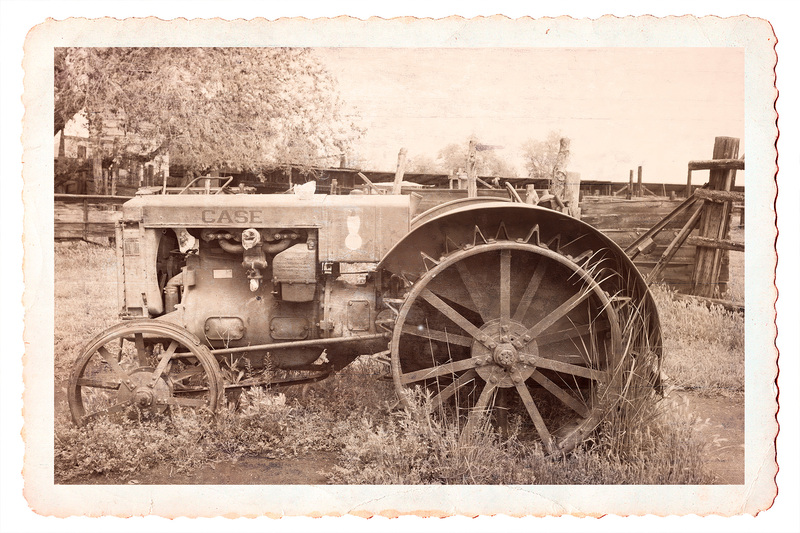 Then you’re free to wander through the house and immediate farm area where they have farm equipment used at different times, like this Case tractor. I had left my birding lens in the car, but after seeing all the birds I went back to the car to get it. 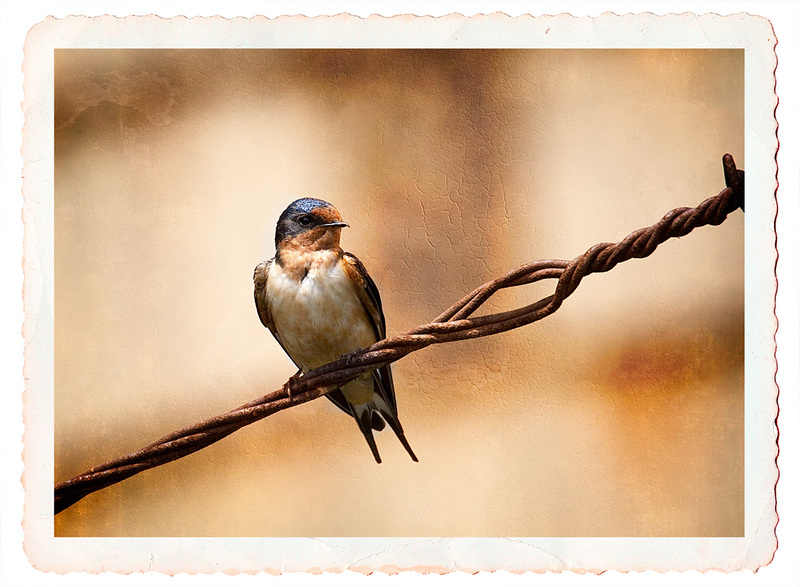 When I returned with the lens, the only bird I could find was this Barn Swallow sitting on an old barbed wire fence. Still, I liked the shot enough that it seemed to justify the effort needed to walk up the hill and get the lens. I doubt I’ll return to Antelope Island on my next trip to Utah as I surely will to Bear River, but it was a pleasant enough way to spend a couple of hours.